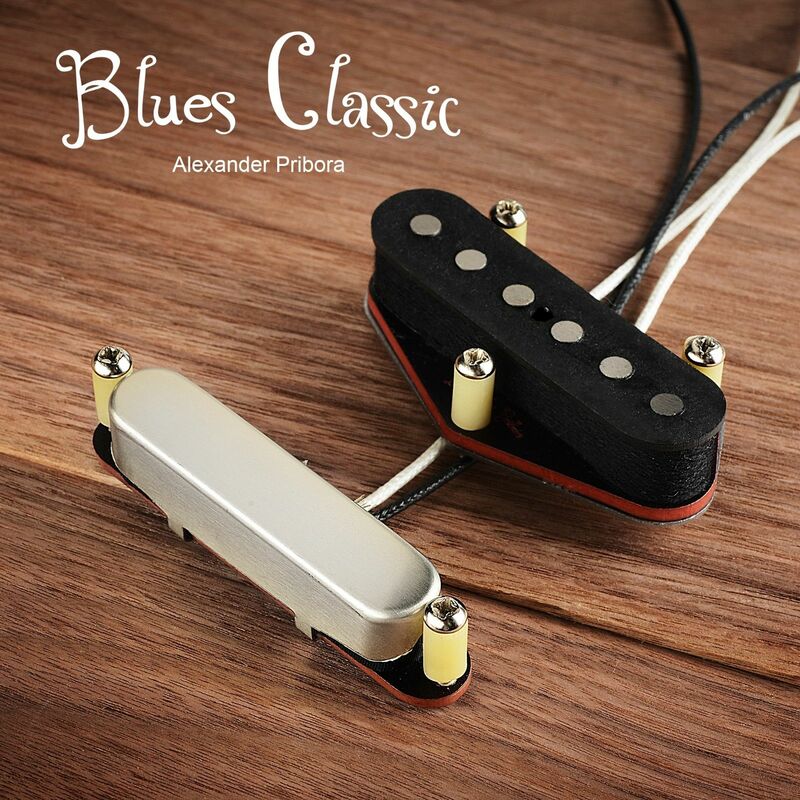 Alexander Pribora scatter wound pickup set fit Fender telecaster with Nickel-silver cover. Made with scatter wound winding. Single coil is made of Black&Red vulcanized fiber and staggered alnico V magnets. Additionally glued and varnished. Glue eliminates the possibility of detaching the flatwork from the magnets, and the varnish adds additional structural strength and prevents electrical shorting wire on the magnets. The pickups scatter wound using US made enamelled copper wire. In set – 3 screw for bridge pickup. I got a set of these for a Telecaster I built and was totally amazed at the sound I got out of them. 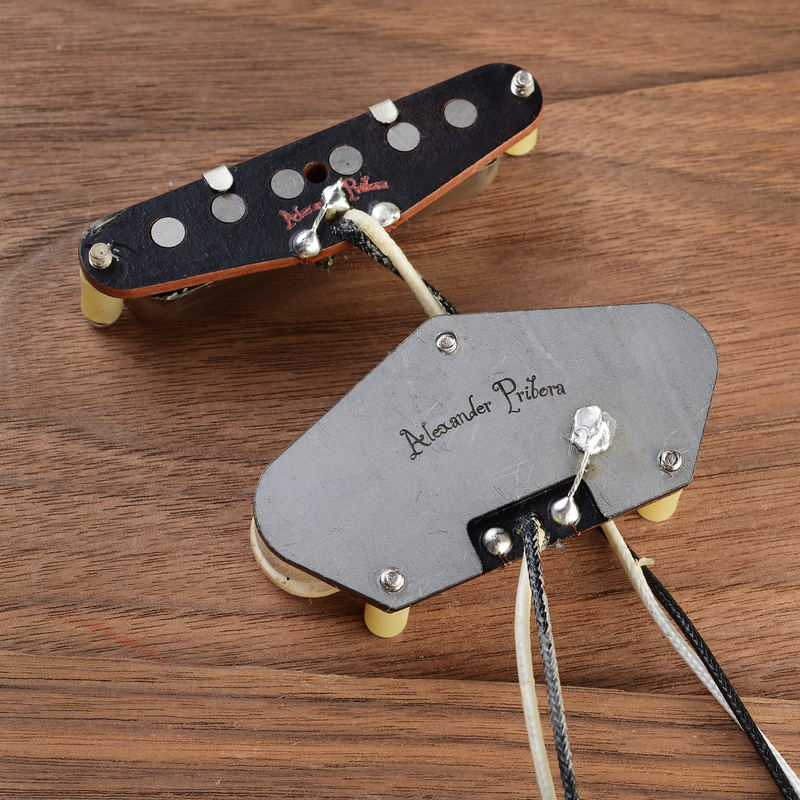 Hence they are going to be my number one choice of pickups for my future Telecaster builds. The guys in the band also want me to convert some of their guitars to these pickups. What more can you say. They are the best. placed these into my Fender Telecaster (USA) and wow, what a great improvement to the sound I’ve always wanted to hear. Excellent work by Alexander. Alexander, let me know when these are back in stock. I have one more Telecaster that could benefit from these. Отличные звукосниматели! Существенно оживили мой китайский телекастер. Хорошая читаемость, приятный тон звука и внешне выглядят очень привлекательно! Got a set for a low end tele, the sound is now on par if not better than a couple of custom shop teles I used to play, clear and rich sound that makes it a must to go clean for recording. Have had these for over a year. Placed them in a partscaster and always receive compliments on my sound and tone when I use this guitar to play out.